The church of St. Michael & All Angels is 12th century with additions during the 13th and 14th centuries. It was partly restored in the mid 18th century, and completely restored in the 19th century. 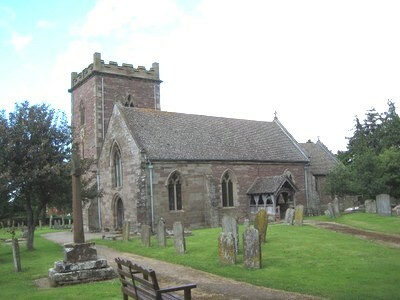 A new square tower was added, with carved pinnacles at the angles, and inside the pews were made roomy and unusually deep. Tiles were laid down in place of the damp stone floor. A new organ built by Nicholson of Worcester was installed; it was plain with just four stops and no pedals, but had a good tone.